Facebook partnered with Mallfinder, developer of integrated marketing services for Shopping Malls, which now would let Facebook users connect with shopping centers across the country. Short Pump Town Center in Richmond, Virginia is amongst the malls offering special deals through Facebook exclusive for Facebook users. All you need to have is a Facebook account as well as a smartphone while visiting the mall. 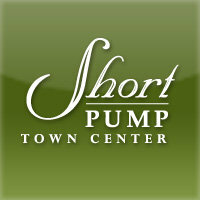 Facebook users who visit Short Pump Town Center can login to the official page of the mall on Facebook and click the “Like” button to reveal deals. Clicking on “Check-In” would register you as a visitor at the mall which would detail various deals currently being offered at the outlets. If you find a deal being displayed, go to the Guest Services and show the clerk your phone. The clerk would handover you a deal in form of a gift card, which can be used at almost any of its 140 stores and restaurants. Customers who have visited and utilized the Facebook feature, told that they availed a $10 gift card. Everybody’s transitioning into using technology so I think its a nice and easy way to get people to come out to the mall and spend some money.